Chevrolet has finally put a stop to the rumours that they entry level hatchback - Chevrolet Beat will make an exit from India. Now they have announced the 2017 Chevrolet Beat. 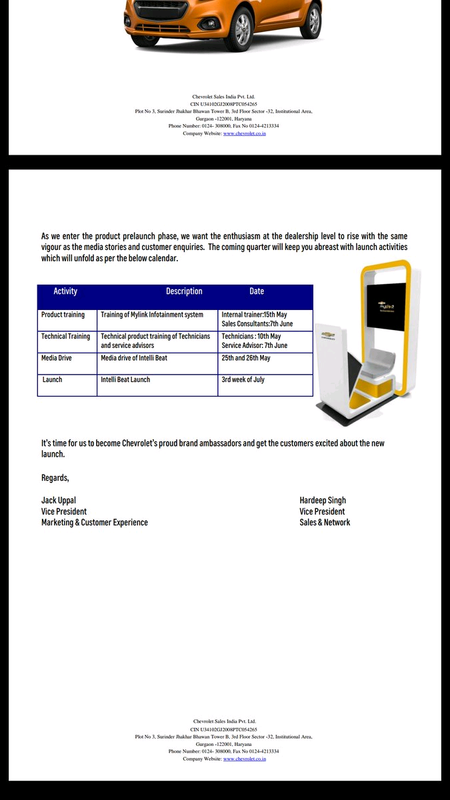 A leaked memo has also surfaced online which indicates for a July launch for their new model. The new generation Chevrolet Beat has got a new front design and overall it looks more like a facelift than a revamp new design. It also looks similar to the international version of Chevrolet Spark. The dimesnions on the other hand remain largely unchanged. The interiors get a dual tone color scheme with matte silver center console, chrome garnish HVAC vents and semi digital instrument cluster. the car wll run on the M300 model and do without any mechanical changes and the engine will run on a 5 speed manual transmission. 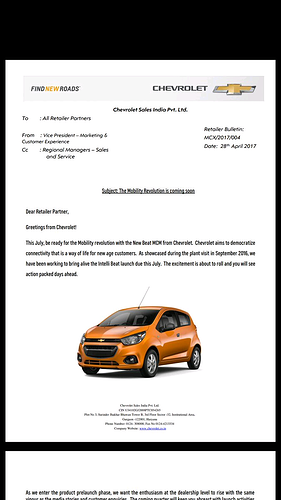 The current starting model for Chevrolet Beat is priced at 3.95 lakhs (ex-showroom) and the new 2017 version will also come at an ex-showroom cost of INR 4 lakhs.